During the search, filter the products by one or more sizes. While we try to follow an international sizing guide, some items fit may differ depending on the brand and the country of manufacturing, so please read the individual item description carefully before you purchase. Each product will have a "measurement" size guide, just go to the product you like, then scroll down on the same page and click on "measurement" just like in the picture below. Garments made of stretch material will expand when worn. Please note that all measurements are subject to slight differences that occur during manufacturing. Chest: Take measurement up under the arms and around chest. From armpit to armpit at the widest point (wrap the measuring tape around your body and back). Waist: Measure around yourself (circumference) at the narrowest part. Inseam: Measure the right or left leg from the underside of the crotch (between the legs, known as the top inseam point) to the bottom side of the ankle (the lowest inseam point). Hats: Measure around the largest part of the head. 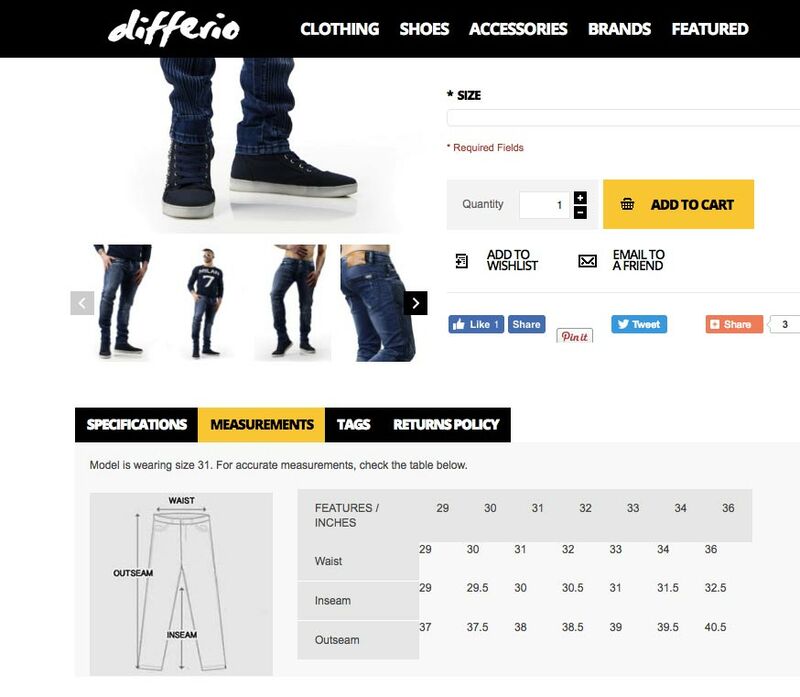 The sizing information below, listed in inches, are generic standards measurements of garments and not specific products featured on our website. * Inseam will vary depending on style; when lengths are offered, “short” is 30, “regular” is 32 and “long” is 34, unless otherwise noted. Regular Fit: Neither slim nor oversized. Regular-fitting technical garments may be worn over heavier midlayers. Men’s regular fit pants have a slimmer fit through that thigh, lower leg, and cuff. Relaxed Fit: Drapes loosely on the body. Men’s relaxed fit pants have a bit of extra room through the hip, thigh, lower, and cuff.